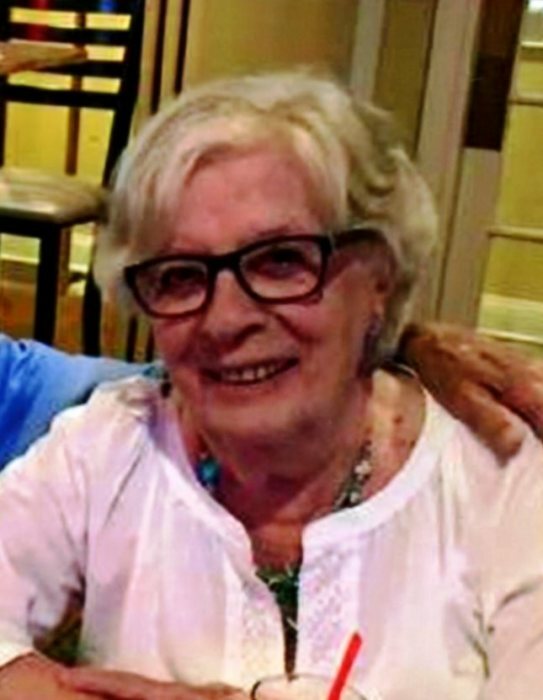 Ramik, Norma J. Corvino Ramik, of Stratford, beloved wife of the late Anthony (Tim) Ramik, passed away peacefully on March 15, 2018 in Bridgeport Hospital with her loving family by her side. Norma was born on December 22, 1931 in Bridgeport and was the daughter of the late John and Victoria Serritella Corvino. Norma was the matriarch of her family. She was vibrant and full of life. She loved flowers, walking on the beach, reading, watching the NY Giants, and having a good time. She cherished her friends and family and any family gatherings, especially Christmas dinner. Norma enjoyed making memories with her lifelong friends, the “Gang”, at vacations, parties, dinners and any other event they could come up with to have a good time. Norma was lucky in life to have loved two wonderful men. For the past 6 years, she and her companion Don Mays loved going to dinner, dancing and riding in the convertible. Norma worked for 45 years at Memoli and Memoli Real Estate. Norma is survived by three daughters, Victoria Ramik of New Haven, Julie Puschaver and husband Tom of Oxford, and Stefanie Gavrish and husband Joe of Stratford, six grandchildren, Sarah Perkins,Josh Gravalec, Nick Gravalec and partner Jessica Sniffen, Scott Puschaver and partner L. Ricardo Pagan, Sean Puschaver and Tim Gavrish, two brothers, John Corvino and wife Beverly of Shelton and Mark Corvino and wife Janice of Stratford, one sister, Julia Corvino Moran of Monroe, in-laws, Ann Jaroszewski, Carole Ramik and Dr. Richard Ramik and wife Marianne, companion, Don Mays, Faithful cat, Kitty Cat and several nieces and nephews. In addition to her beloved husband, Anthony of 47 years, Norma was also predeceased by one sister, Johanna Corvino Kascak. Funeral services will be held on Tuesday, March 20, 2018 at 9:00 AM directly in St. James Church where a Mass of Christian Burial will be celebrated by Rev. Thomas Lynch. Interment will follow in Union Cemetery. Friends may call at the Galello-Luchansky Funeral Home, 2220 Main Street Stratford, on Monday, March 19, 2018 from 4:00 -7:00 PM. Donations maybe made in Norma’s memory to St. James Church, 2070 Main St, Stratford, CT 06615.